A range of vegetarian main course dishes. Many also suitable as snacks and starters when the quantity is adjusted accordingly. Serve with a side salad. 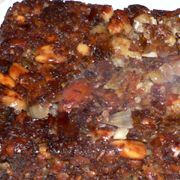 ..
A Spanish dish that can be served hot or cold. 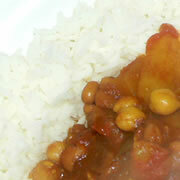 ..
Light curry, serve with brown rice. Recently tried this one, but with only one tin of chickpeas in the cupboard, so subbed one with a tin of black eyes beans. Needed a bit more liquid in the sauce. ..
A one pot meal, very filling with the taste of India. One or two natural yoghurt based dips will go well with this vegetarian biryani dish ..